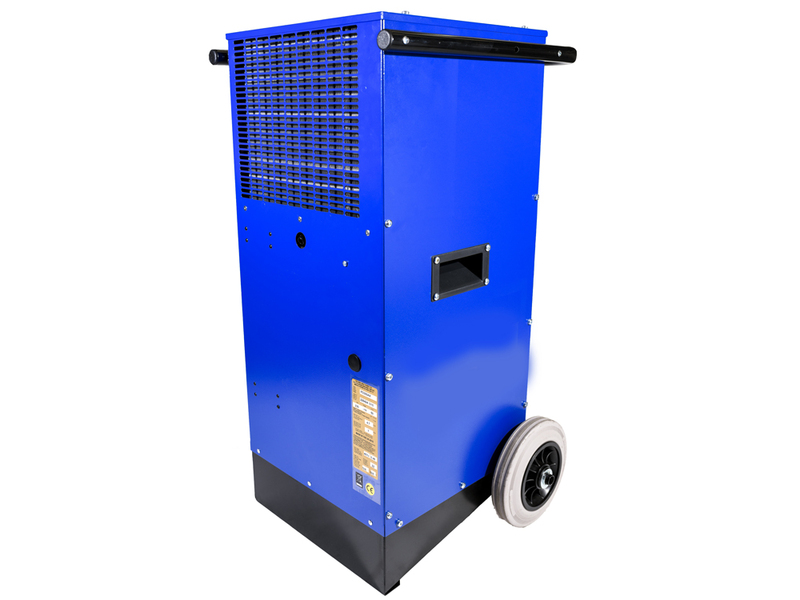 Porta-Dry dehumidifiers are specifically designed for mobile dehumidification and are built to withstand the rigours of construction sites and hire-related wear and tear. They are fully contained units which incorporate a fan and a totally CFC-free refrigeration circuit. s. Whether it be during construction, after fire or flood damage or even after a period of disuse, moisture will build up within buildings, often with damaging consequences. These problems can be disguised by the use of heat or ventilation (when the weather is occasionally suitable) but are unpredictable, slow, and potentially energy inefficient.